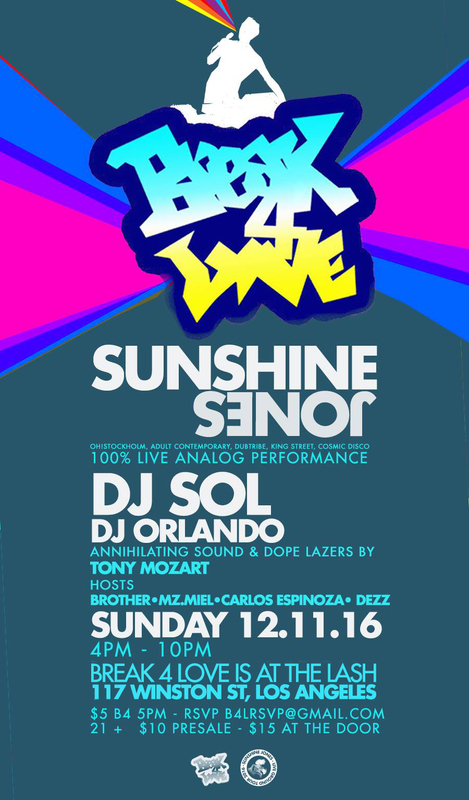 If you’re going to be in LA on December 11th, or if you fancy a road trip (and you know I do) I’m going to be performing a very special 100% live set at Break4Love in LA. But dig, Break4Love is a very special event full of love and devotion. This is classic house, deep heads, vinyl records (and now live performance) at hours you can get your life together around (4pm – 10pm) Yes, it’s a kind of a tea dance, and we’re going to do it just so very right. We’ll be there every morning baby, to hold you tight. And that’s why baby, you don’t have to wonder why. Why I love you. Why I need you. Got to have you. I need you… right now. See you on December 11th in Los Angeles.